Tree silhouette vectors set, free to download and use for your digital art web and print projects. 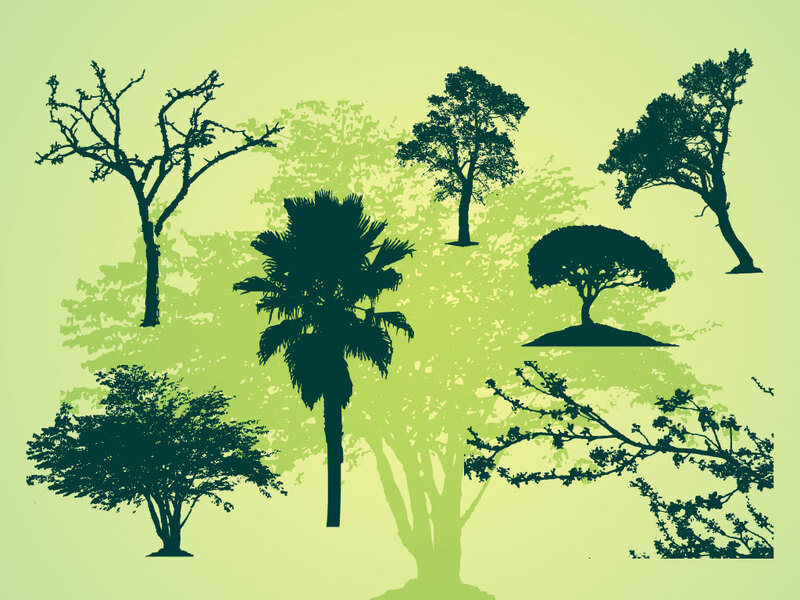 Seven different tree silhouettes included in this vector pack. Highly detailed and ready for your outdoor, garden and nature themed designs. A great background piece or addition to a collage or illustration. Tags: Autumn, Fall, Forest, Garden, Nature, Organic, Park, Spring, Trees.